Why use 3 and 4 Bladed Props? Perhaps you already know that a standard 2 blade propeller is more efficient than 3 and 4 bladed props. In fact, the more blades that are added, the less efficient a propeller becomes. But do you know why more blades makes for a less efficient propeller? A blade creates lift just like the wings of an airplane. Each blade follows nearly the same path as the prop spins. The more blades there are, the less space there is between each blade. Basically, the blades on a 2 blade prop get a much cleaner bite on the air making it more efficient. This begs the question, "Why in the world would you want to use 3 and 4 bladed props?" 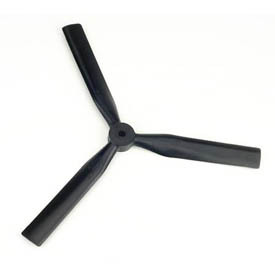 The obvious and most practical advantage of a multi-blade prop is a smaller diameter. Multi-blade propellers are used with full-scale airplanes when ground clearance is an issue. WWII fighter planes are prime examples. As matter of fact, those massive engines actually need a less efficient prop to help harness all that power! 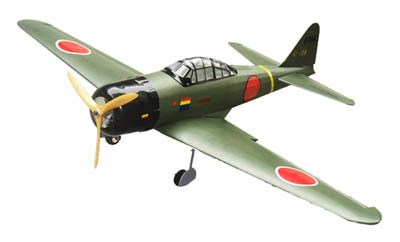 You want your scale model airplane to look authentic right? 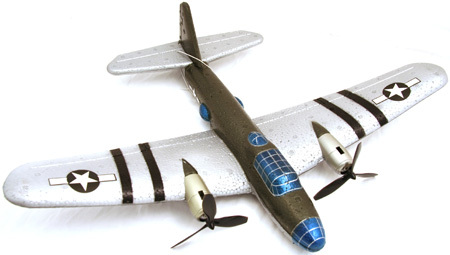 Not to mention it just looks cool to use a multi-blade prop on your warbird! Twin engine airplanes often use multi-blade propellers because the smaller diameter is needed for the propeller to clear the fuselage. This is true of full-scale airplanes and often the case with twin engine model airplanes as well. 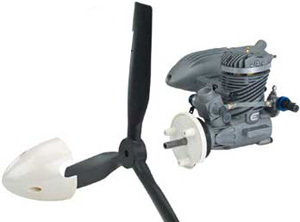 Evolution Engines offers a three-blade propeller to be used with a trainer. The inefficiency of the prop "tames" the engine a bit for the beginner by allowing the airplane to fly slower while maintaining the thrust needed for easy take-offs and climbs. After the beginner becomes comfortable flying the airplane he can tap into the rest of the engine's power by changing to a more efficient two-bladed propeller.